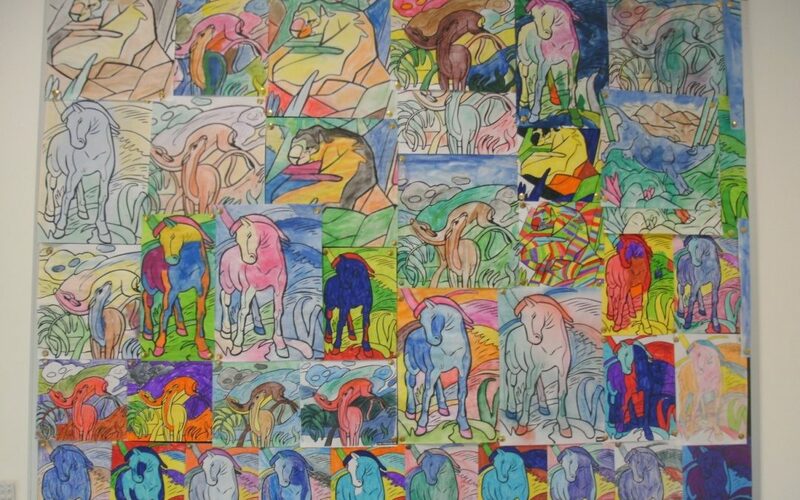 Pupils in Year 8/9 have been studying Franz Marc, a German painter 1880 – 1916 and have produced a range of his images by exploring different materials including pastel and water colour. Pupils have looked at how to blend and create different tones of colours. The art work they produced was then mounted as a collage and they are very proud of their work.